gemc can import models in GDML  format or directly from CAD models . Notice you do not need the variation tag for the GDML and CAD detector factories. If you import the models in this way, you will not be able to assign attributes to them. will load all CAD files inside “beamline”. Only files with these extensions will be loaded: “.stl” or “.ply” or “.obj”. Any other format will be ignored. You can find many autocad examples here. Click on the new meshed object and File > Export to a STL file (or PLY or OBJ). The tessellation process describe above preserves the volume placement coordinates. The coordinate specified in the GXML file are shifts and tilts relative to volume. For example, if a volume in the model is placed at (0,0,10)mm, a GXML entry `position="0*mm 0*mm 10*mm"` will place the volume at (0,0,20)mm. It is generally a good idea to create a “mother volume” to place the STL file into, instead of the default value that is “root”. This will keep the hierarchy well organize. For example, the CLAS12 target is placed inside a polycone to encapsulate it completely, see figures below. Geometry Description Markup Language. 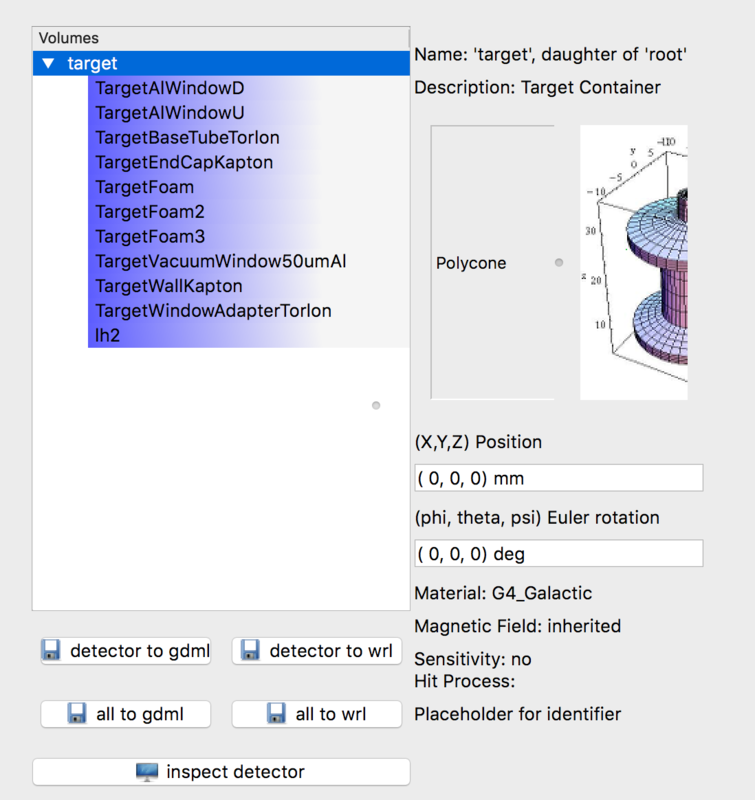 It’s an application independent geometry description based on XML. See gdml at cern. STL (STereoLithography), PLY (Standard Polygon Format), OBJ (Alias Waveform Object) file formats are available.